In the example above we have added three options to the setup dialog box. The user can select and unselect the options of his/her choice. 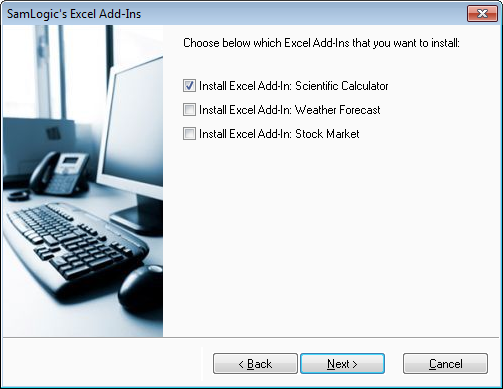 As you see, it is very easy to create a setup dialog box with your own options. You just need to enter a title, a short description text and your options. And it is done! 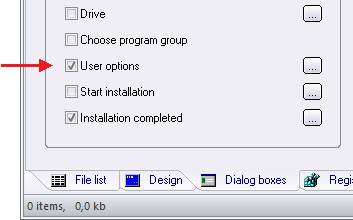 The main purpose of this new option dialog box is to let the end-user decide which script lines to execute and which keys and values to add to the Registry, during the setup process. This is a more flexible way to handle user choices than file components (file groups) because you don’t necessary need to copy files based on user choices; instead you can use Visual Installer’s whole scripting language to do whatever you want. This is useful if some special operations must be done, based on user choices. 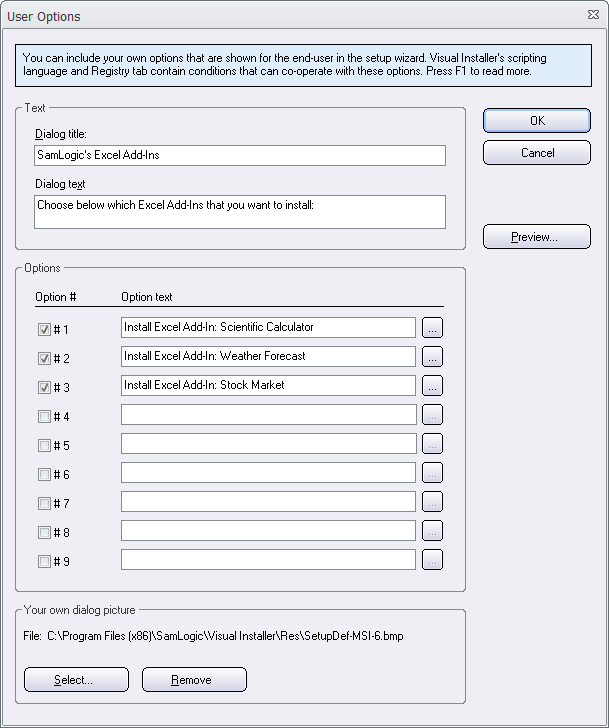 In Visual Installer’s scripting language we have added a new condition check, IF OPTION(n), that can be used to check which options the user has selected in the User Options setup dialog box. 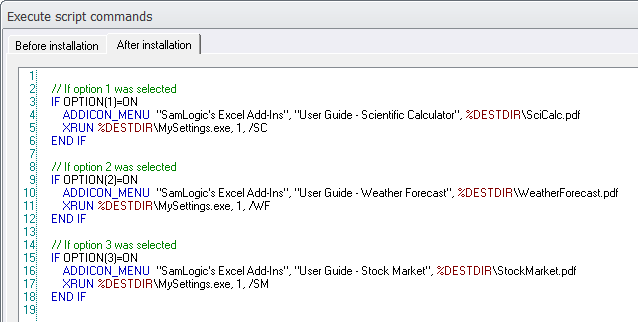 We have added a similar condition check to Visual Installer’s Registry tab: IF_OPTION(n). The condition check in the Registry tab works in a similar way. 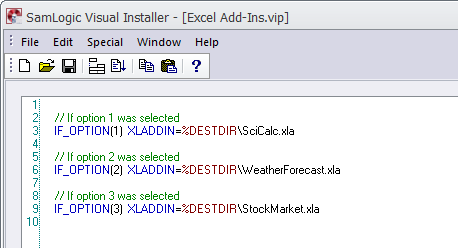 IF_OPTION(n) or IF_OPTION(n)=ON can be used to examine if an option was selected by the end-user. IF_OPTION(n)=OFF can be used to check if an option was not selected. This entry was posted in News - Visual Installer, Tips. Bookmark the permalink.